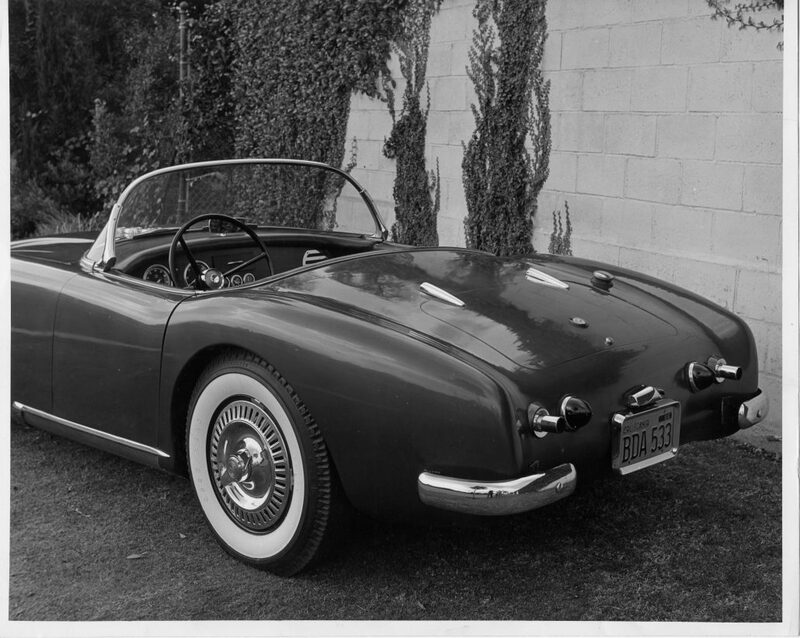 Jim Byers began offering the Byers SR100 body in 1955 from his shop in El Segundo, California. At first just a one-person shop, Jim expanded over time and by the late 50s employed several people in both building new bodies, cars and other automotive projects. 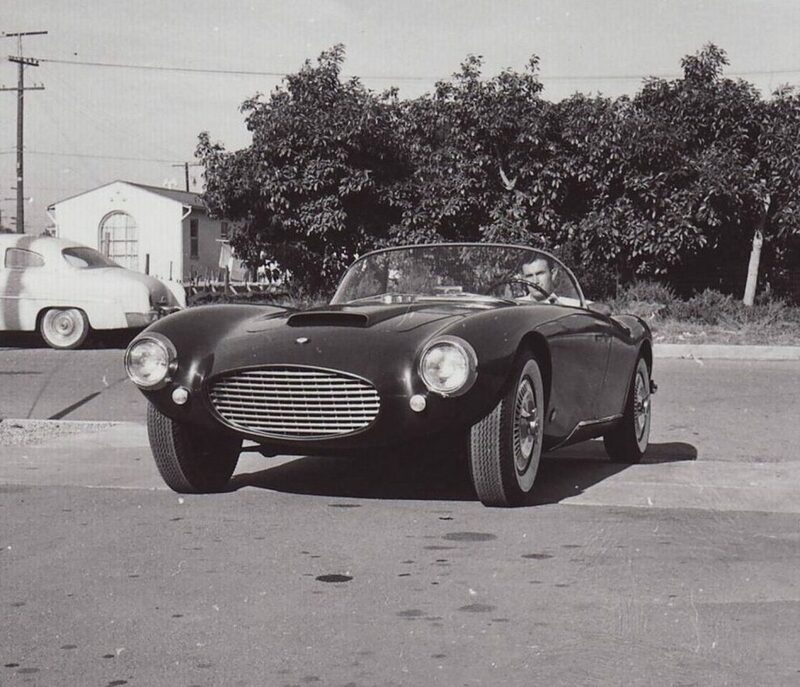 He is best remembered, though for his beautiful Italian-inspired Byers SR100 designed sports car. 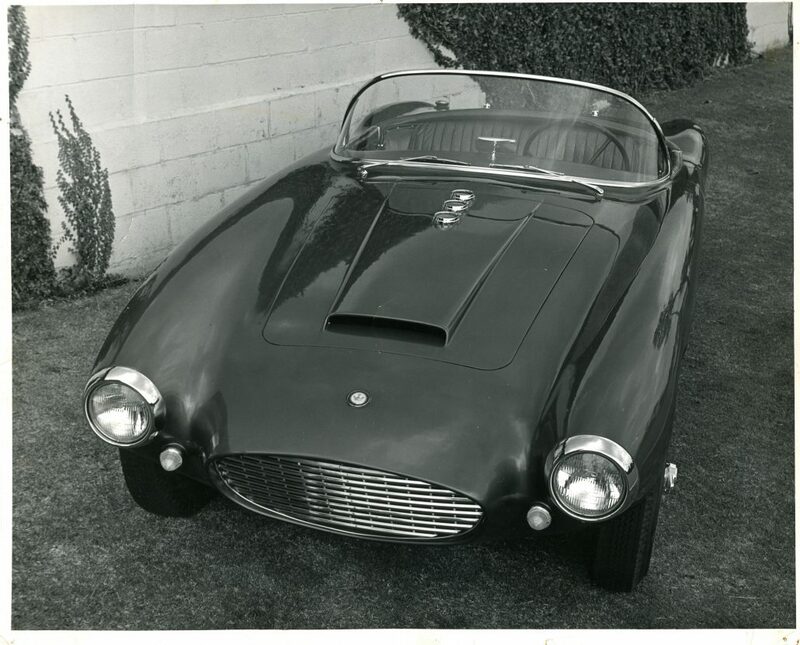 Byers designed his SR-100 body to fit a wheelbase of 100 inches and a track of 56 inches which was the primary size of most hand-built American sports cars of the day. 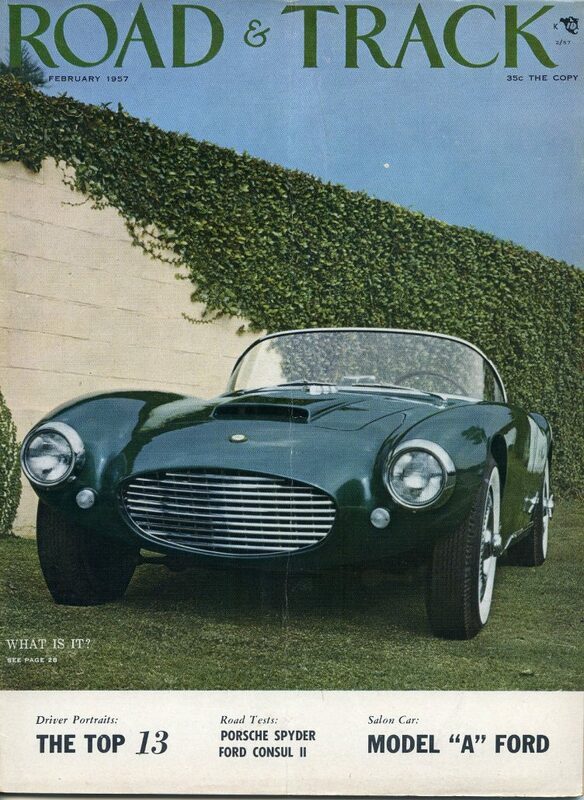 John Bond, editor and owner of Road & Track magazine thought so highly of the design and build quality of the Byers SR100 that he chose it for the cover of his magazine along with a feature article in February, 1957. It’s estimated that approximately 25-35 SR100 bodies were built – few cars and bodies remain today. The second version has an altered cockpit to more easily fit a modified Corvette C2 or C3 chassis stretched to 100 inch wheelbase (1963-1982). All of our bodies are built by hand-laying fiberglass. In creating each body, we apply a gel coat coating (black) to our mold and hand apply 5 layers of 1 1/2 fiberglass mat with high quality low styrene polyester resin. In some structural areas we add two extra layers of mat. Any time a customer desires a different color gel finish or other laminated schedule, we are glad to please, but price may vary. Note: Car shown below is on modified Corvette C3 chassis where it has been stretched approximately 1 and 1/2 inches to fit the Byers SR100 body. Other modifications to the cross members are necessary depending on the choice of drivetrain. The hood and trunk been created so that the body panel has a turned lip/edge that fits nicely into the channel that is fiberglassed into the body. This lip gives added strength and rigidity to each panel and allows water/rain to be directed away. Creating nicely fitted doors to any car body is not an easy task. The door design for our Byers SR100 gives width to the door for storage or windows if so desired. The door jambs (A & B) and sill are also molded into the body to exactly fit the doors and make the final job professional in every way. The floor / firewall / wheeltub option is for the Byers SR100 body that has been designed to fit on the modified Corvette C2/C3 chassis. The includes a storage area behind the seats, floor fitted to the C2/C3 frame, lowered area on floor in front of the seat and firewall. Also included are fiberglass panels to complete the front and rear wheel tubs. 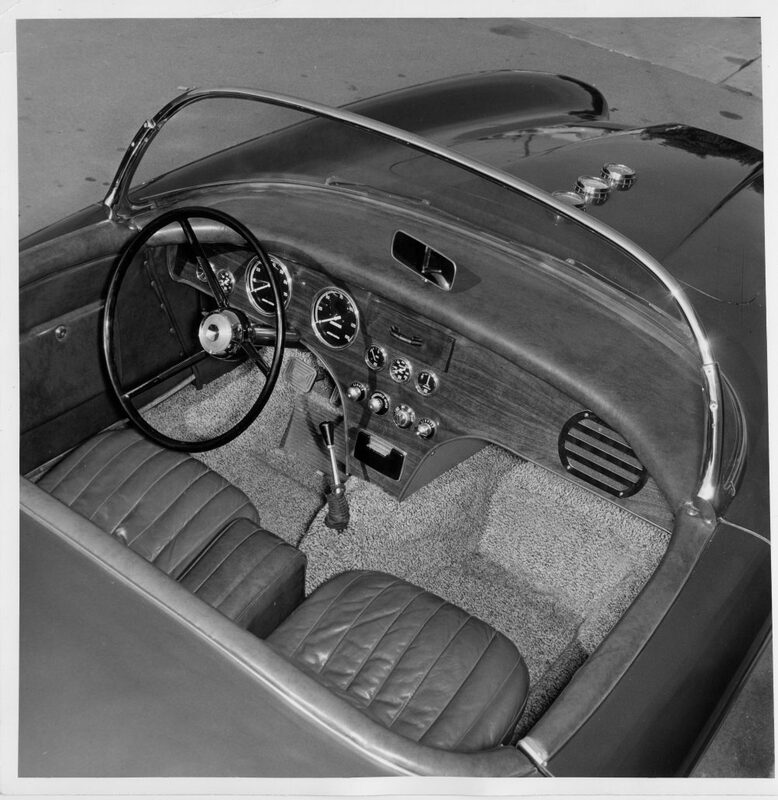 The chassis used in the photos above and below is a Corvette C3 chassis which has been lengthened approximately 1 and 1/2 inches with modifications made to the center and rear cross member. Modifications needed for your Byers SR100 build depend on the drivetrain to be used. We offer two versions of the Byers SR100 – both at the same price. The first version is a duplicate of the original Byers SR100. The second version allows for greater cockpit room for a modified Corvette C2 or C3 chassis (1963-1982). Either version of the Byers SR100 you buy from us is a great choice. You can also purchase a Byers SR100 body from us with a modified Corvette C2/C3 chassis starting from $14,900. Contact us for additional information. 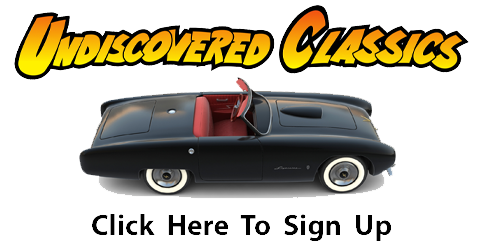 A complete Byers SR100 sports car can be built for you working with one of our Undiscovered Classics Affiliates. Contact us for additional information. Deposit required is 50% of purchase price. Our recommended shipper is Contractor Crating of Tampa, Florida (http://www.tampacrating.com) who has extensive experience shipping fiberglass bodies and other precious items nationally and internationally. Contractor Crating can pick up directly from our facility and crate and ship from their location. We do everything we can to ensure that the prices on our website are correct, and we try to keep our prices constant. Sometimes we need to change the cost of a product, either up or down. Prices may be changed at any time without notice. Once a deposit is made as specified above, we guarantee the price identified in the contract.